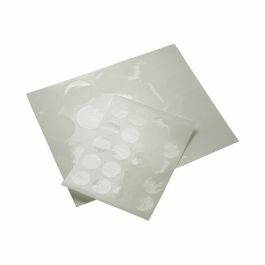 Our CS5 clear round stickers provide a more secure seal to crystal clear boxes and bags. These stickers are 1 1/4 in diameter and come in a sheet of 25. Apply to food packaging, gusset bags, and greeting card boxes for a clean, polished finish. 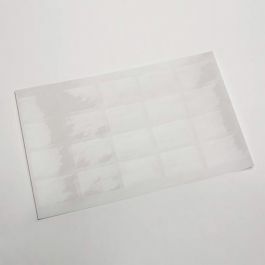 Clear round stickers offer an easy way to keep your packaging more secure in the retail environment. Our CS5 stickers are 1 1/4" in diameter and come in a sheet of 25. 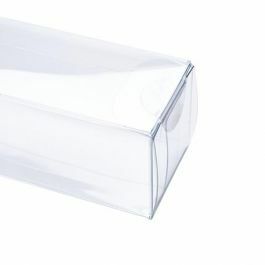 Seal card boxes, food safe bags, gift packaging, and more. These clear round stickers offer a clean and polished presentation. We also carry 3/4" stickers for smaller applications.